Have you ever struggled to answer a question when asked by your friends, family, or the public about agriculture? 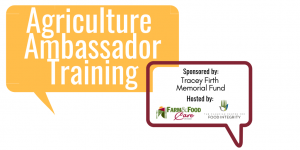 Join SFOAC and Farm & Food Care Ontario for our first ever agriculture ambassador training. 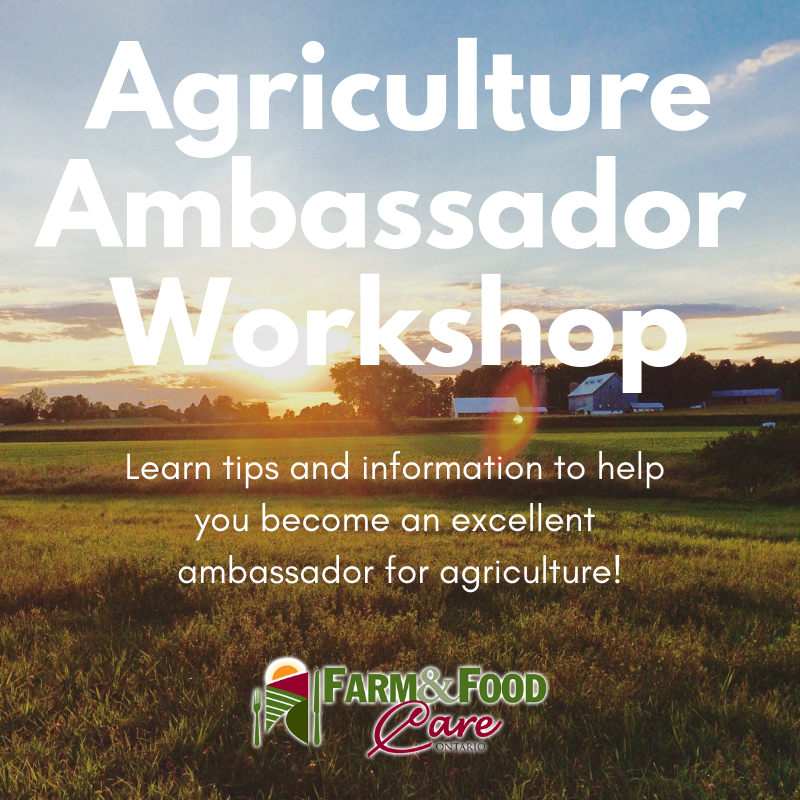 In this workshop, you’ll learn who your average Canadian is, how much they know or don’t know about food and farming and how to tell your farm story to a non-farming audience so you can become an ambassador for agriculture. Free pizza and refreshments are included at the event. This workshop is sponsored by the Tracey Firth Memorial Fund and is hosted by Farm & Food Care Ontario and The Canadian Centre for Food Integrity.